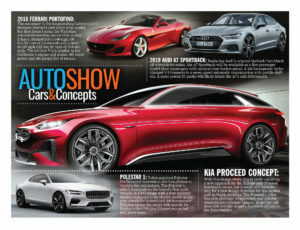 Everyone loves reading about the next big thing when it comes to new automobiles, so we created our next big thing: AutoShow. 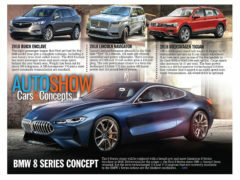 It’s a new weekly feature that provides a glimpse at near-production models as well as concept vehicles touring the auto-show circuits. This feature comes as a ready-to-print pdf file (and with the accompanying Adobe InDesign document), but also with the raw text files and photos to create your own look or format. 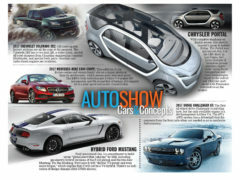 Keep your readers informed and entertained with the next big thing: AutoShow, from Wheelbase Media. 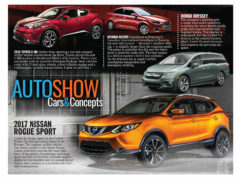 AutoShow is all about new vehicles, from production and near-production models, to fanciful concepts.